Still, there are functions critical to the healthcare endeavor that people do much better than machines, things like: understanding and using natural language; perceiving what is unexpressed; taking into account values, culture, ethics, and human relationships; touching and healing. For the foreseeable future, the "smartest" computers will be no match for human beings when it comes to performing these most anthropic functions. American healthcare is at a critical juncture. Providers and patients are increasingly frustrated by degradation of the human relationships that lie at the core of the medical practice. Technologies, such as the computerized medical record, get much of the blame for intrusion into the patient-provider relationship. However, it is not technology itself that is to blame. The fault lies with how systems are conceived, designed, and deployed. 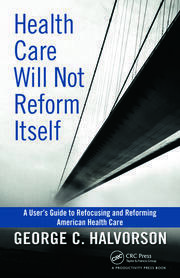 This book analyzes how to organize the work of healthcare in a way that uses machines to do what they do best, thereby freeing humans to do what we do best. Smart use of electronic technology is crucial to the success of any bid to fulfill the Institute for Healthcare Improvement’s triple aim to make healthcare more effective, efficient, and humane. Introduction. Logical Conclusions: How Modern Medicine Fits Into Western Culture. What Computers Do Better Than Humans. Technology. What Humans Do Better Than Computers. Data Versus Story. Economics. Security and Privacy. Electronic Health Record. Patient Care. Telehealth. Public Health. Research. Education. The Connected World of Patients. On a two-year assignment with the National Health Service Corps Marc served as one of just two physicians in Yuma, Colorado a town of 2000 people. Professional isolation served to underscore practicing physicians’ need for an information system to support them. His second professional publication, which appeared in the Journal of the Medical Group Management Association, was about how to turn journal articles into files suitable for immediate reference by a busy clinician [Ringel, M.A. Filed for easy reference. Journal of the Medical Group Management Association, 1980, 27(1), 40-41.]. Ever since then Ringel has tracked the progress of medical information technology as it has moved from paper-based to networked electronics-based systems. 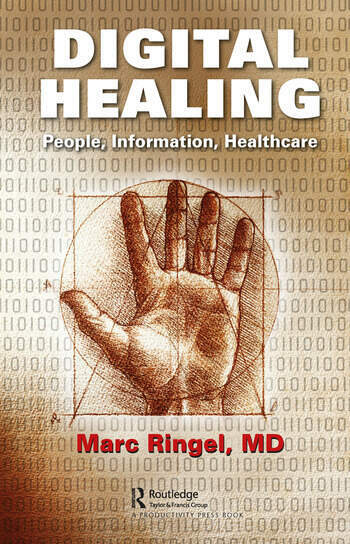 In 1993 he published Accessing Medical Information from a Desert Island with Telephone Service [Ringel, M.A. Accessing Medical Information from a Desert Island with Telephone Service: How to Get and Organize the Information You Need to Practice Most Effectively. Greeley (Colorado): Desert Island Press, 1993.]. He co-authored with Health futurist, Jeff Bauer, Telemedicine and the Reinvention of Healthcare [Bauer, J.C., and Ringel, M. Telemedicine and the Reinvention of Healthcare: The Seventh Revolution of Medicine. Burr Ridge (Illinois): McGraw-Hill, 1999.]. For most of his career Dr. Ringel has written, spoken and consulted on issues related to medical informatics and telemedicine. Marc has extensive practice experience, including: two years in Yuma; five years in his own family practice in Ripon, Wisconsin; nine years as a faculty member of North Colorado Family Medicine Residency Training Program in Greeley; fifteen years at Brush (Colorado) Family Medicine. Most recently he served for three years as medical director of TRU Hospice of Northern Colorado. He has been a teacher of medical and nurse practitioner students, of family medicine residents, and of practicing physicians. He works a consultant in the field of Continuing Medical Education. Marc has lived in Greeley, CO since 1985. His hobbies include cycling, hiking, reading, gardening, photography, writing and jazz (unfortunately, just listening). He has three children and one grandchild.